Summer doesn’t officially begin until June 21st, but the weather forecast seems to think otherwise. While some of us may be retreating to the air conditioned indoors, others can’t wait to bask in the summer heat. There are a number of ways to soak in the nice weather on the Island (We are the Borough of Parks, after all). But there are few things quite as nice as enjoying a cocktail and a meal at a local outdoor eatery. Outdoor dining is a fun seasonal pastime for a number of reasons. It makes for the ultimate Instagram photo op. 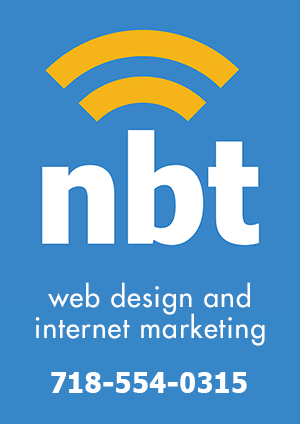 Plus, it’s an excellent way to support locally owned businesses. Whether you’re looking to host a lavish event or a fancy place to take your partner for date night, Angelina’s is just the place. What used to be a cozy family-style restaurant in an Annadale shopping center has flourished into a picturesque South Shore staple. The restaurant is reminiscent of a Tuscan villa, both in appearance and through their menu options. The sprawling outdoor area overlooks the South Shore waterfront, and there is plenty of shady outdoor seating on their wraparound porch.Their signature dishes include a blend of seafood options, including a grilled octopus salad and lobster ravioli, as well as a variety of pastas and meat dishes. 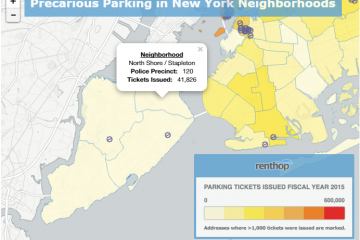 If you can’t trek all the way to Tottenville, they also have a more central location near the Staten Island Mall. Angelina’s Kitchen opened earlier this year and has a more casual feel than it’s predecessor. The Kitchen also has an outdoor seating area, where guests can escape the heat at their new gelato bar. To learn more about Angelina’s, visit their website. Right down the street from Angelina’s is the South Shore Bar and Grill. 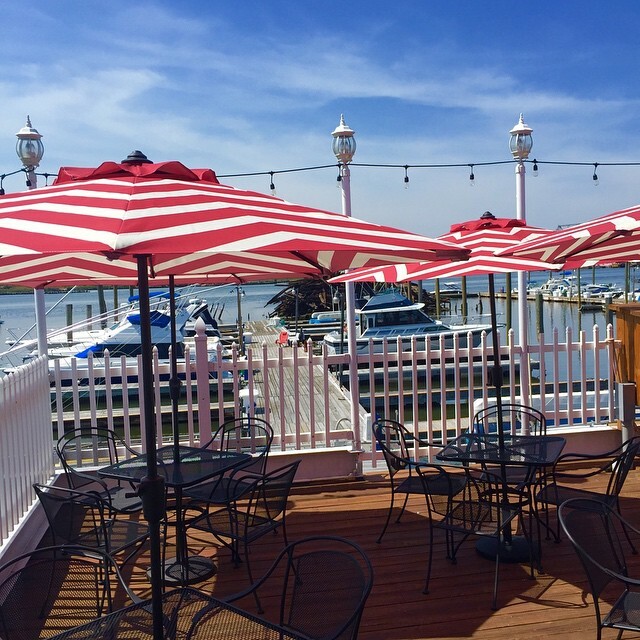 Although both restaurants offer equally gorgeous views of the Outerbridge, the South Shore Bar and Grill gives off a much more casual vibe. Owners Mark Sheri and Joe Guli are native Staten Islanders who are proud of their roots. They see the restaurant as “a tribute to all Staten Islanders,” offering their patrons American dishes with a hint of Italian flair. The recently renovated Grill boasts a $25 buffet party special, as well as daily dinner and drink specials. To learn more about South Shore Bar and Grill, visit their website. Diners are a dime a dozen here on the Island, but the Annadale Terrace stands out above the rest. 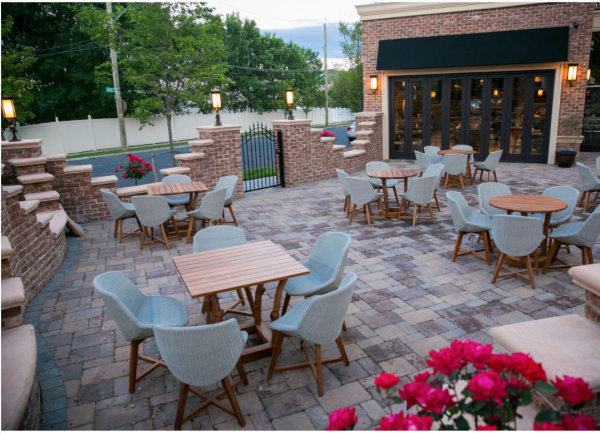 Built in 2014, the Annadale Terrace was transformed from quaint neighborhood diner to a modern three-story dining and entertainment experience. 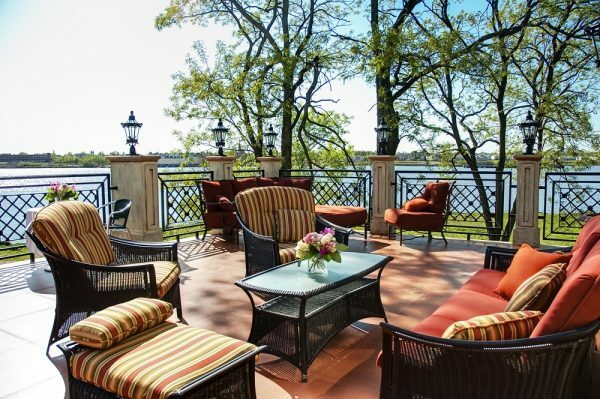 The larger space, unique decor, and expansive outdoor seating make the Terrace an excellent place to throw a party or to just grab a quick meal. The Terrace boasts five outdoor patios, a large indoor dining room and bar, and a menu featuring classic diner favorites. As we’ve previously stated, Italian restaurants are extremely popular on the South Shore. However, very few are able to capture the homestyle atmosphere quite like Capizzi. Decorated with subway tile walls, retro murals, and a 1950’s living room set (complete with a vintage rabbit ear television and a pistachio green loveseat), the interior of the restaurant transports you back in time to your Nonna’s house. The homey feel doesn’t stop at the decor; owner Joseph Calcagno ensures that his menu items “are made with a sense of love and pride.” Capizzi’s offers a variety of old world dishes, including homemade lasagna and chicken parmesan. They are also famous for their wood fired oven pizza. Although the restaurant’s interior is a sight to behold, the exterior is just as impressive. 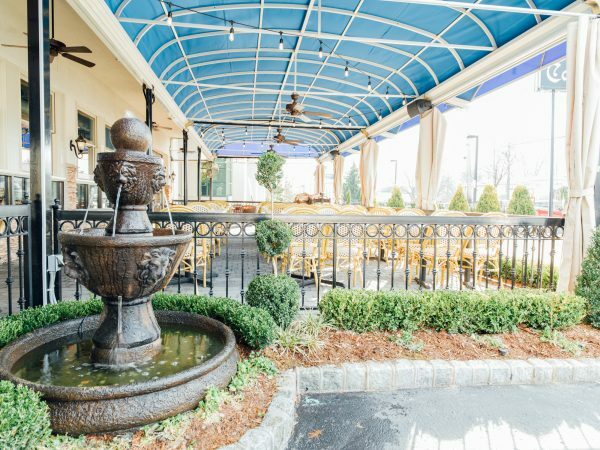 The inviting blue awning and string of twinkling overhead lights help you forget that you’re sipping sangria a few feet away from bustling Hylan Boulevard. 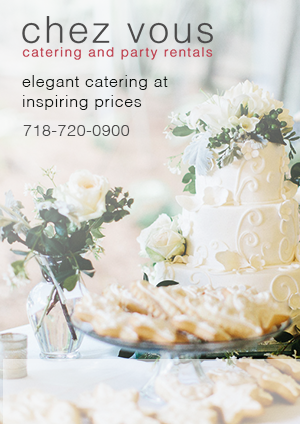 For more information about Capizzi, visit their website. Like Capizzi, Killmeyer’s serves up plenty of it’s own old world charm, albeit from a different region. The German bar and restaurant has been serving Staten Islanders for centuries under a variety of names, but was reverted to its original title in 1995. Killmeyer’s is one of only 50 NYC bars to receive the coveted “Good Beer Seal,” and for good reason. 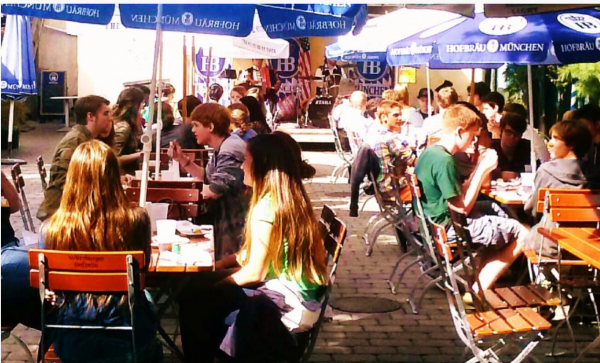 Their outdoor Beer Garden boasts 12 taps of German, craft, and seasonal beer, as well as over 100 bottled beers from all over the world. Open from May through October, the Beer Garden also plays host to a number of live bands and performers daily. To learn more about Killmeyer’s visit their website. 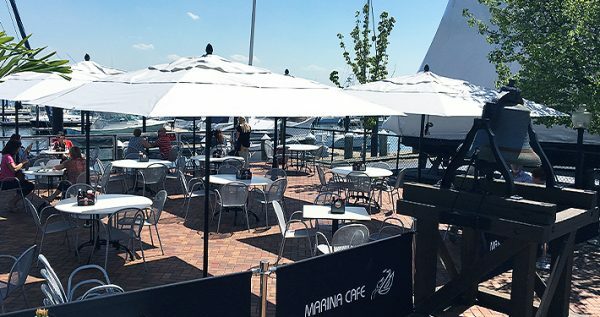 The Marina Cafe was one of the first restaurants to open its doors on the South Shore waterfront back in 1980. Nearly 37 years and one superstorm later, the newly renovated eatery continues to serve Staten Islanders some of the best seafood in the borough. Aside from an extensive contemporary Italian style menu and gorgeous harbor views, the Marina Cafe is also a popular summer night spot. Their Tiki Bar is known for their excellent happy hour specials and all night dance parties. For more information on the Marina Cafe, visit their website.